I assume the beholder is a horse. Thank you so much Gary! This beautiful being is not mine, but she and her companion run to greet me every time I visit....even though I forget to bring them treats! They are the most loving horses and seem to simply enjoy my visits and our conversations! 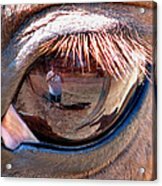 Clearly you and your horse see eye to eye. Well conceived, captured and processed. VF. Leanne, I am so glad! 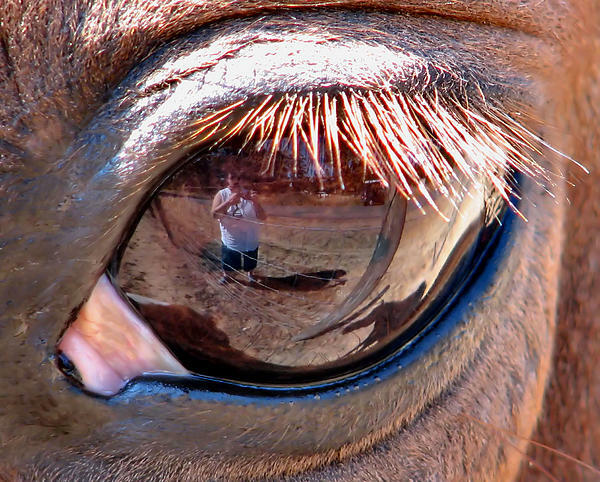 You might have been picking up on the amazing lovingness of these horses I was communing with and photographing. They were so friendly!!! Thank you! 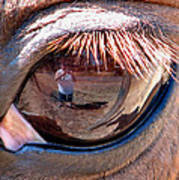 Reflections are my favorites, and this image is so imaginative and wonderfully captured ~ f/v! Thank you so much Anne...I appreciate your comments! Thank you so much Susan...glad you like it! Thank you Cindy! I was actually surprised when I uploaded this group of photos to the computer. There was a lot of glare on my lcd while shooting that day and I could not see very well what I was actually shooting...guffaw! One of those "divine" accidents! 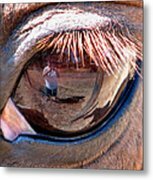 Just wanted to thank you Maria for featuring "Eye Of The Beholder" in the Photographers Cafe Group! A wonderful honor! Thank you so much Hazel....these horses were so amazingly loving!!! I did not even have treats for them and yet they kept coming over and nuzzling me and "visiting." What a lovely comment to wake up to! Thank you Madalena for featuring "Eye Of The Beholder" in the Female Artists - Creative Women Group. It's a lovely honor! M A J E S T I C Rory !!! ..there is nothing more beautiful than innocence in animal eye. Thank you so much for your awesome comments Drinka! Who is really taking the picture?